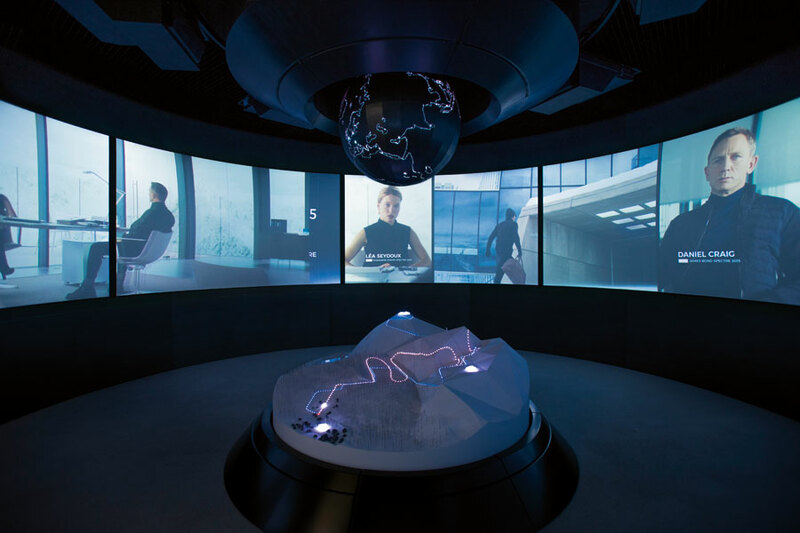 The 007 Elements is a cinematic installation on more than 3,000 metres above sea level, inside the summit of the Gaislachkogl in Sölden. The installation centres around the fascination of James Bond. 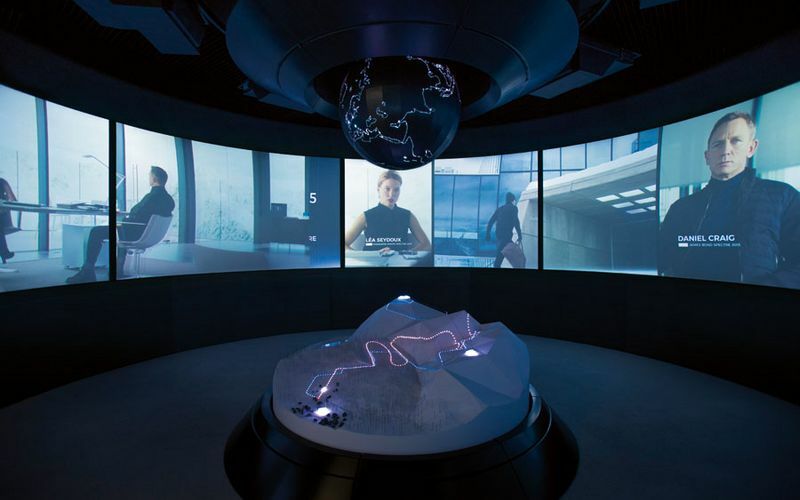 With interactive high-tech galleries, dramatic sequences and jaw-dropping action scenes the installation takes you with all your senses through the different James Bond movies. The idea behind it came, because scenes of the "Spectre" movie were shooted directly in Sölden. Find further information HERE. 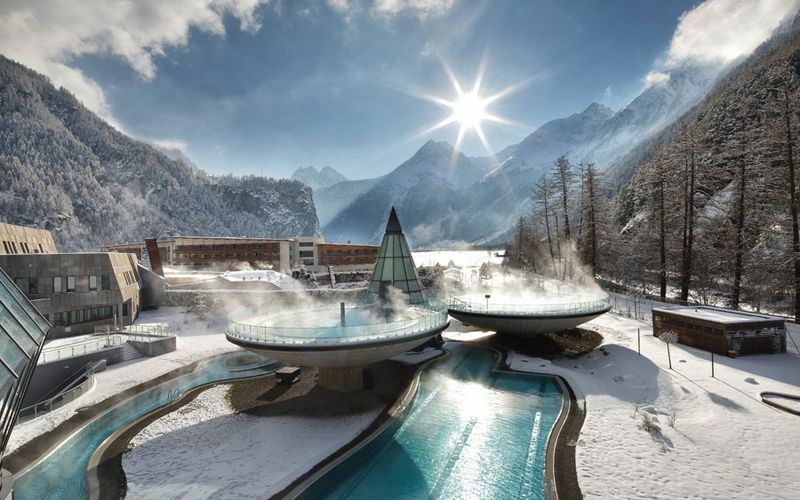 The Freizeit Arena in Sölden is a leisure centre for the whole family. The adventure pool has a own children's pool with slide. Adults can relax in the spa area with saunas, solarium and infrared-cabin. The Freizeit Arena has also many sports facilities to offer. You will find a tennis- and sports hall, a gym, a bowling alley and ice scating in winter. 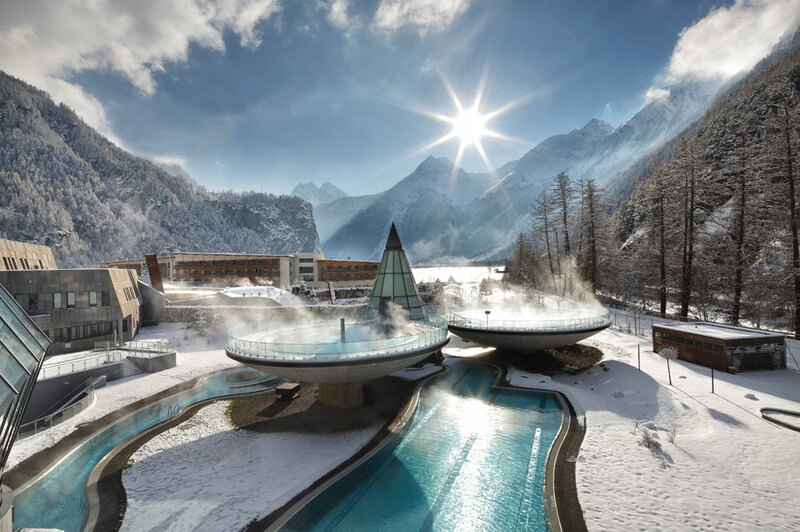 In the thermal spa AQUA DOME in Längenfeld you experience wellness at the highest level. On 22,000m² you will for sure find your own place of rest. 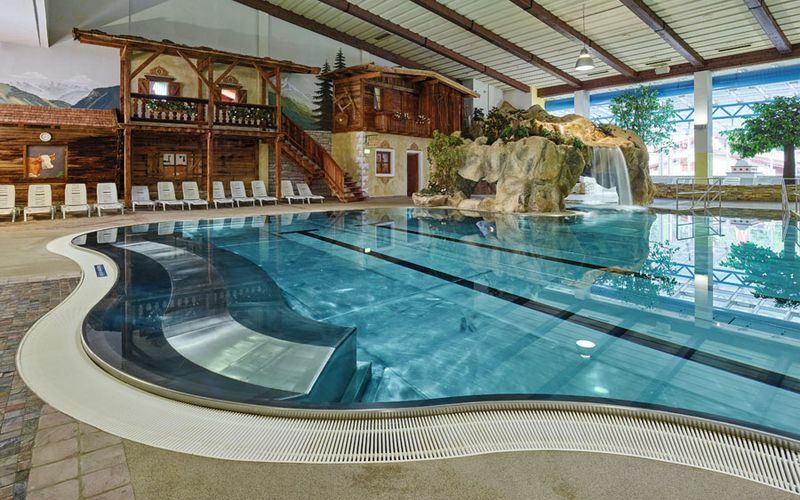 Relax in one of the 12 indoor- and outdoor pools or in the great sauna area. From the shell-pools outside you enjoy an amazing view of the surrounding mountains. There is an own area for children available with children's animation and slide. You can reach the AQUA DOME within 15 minutes by car. 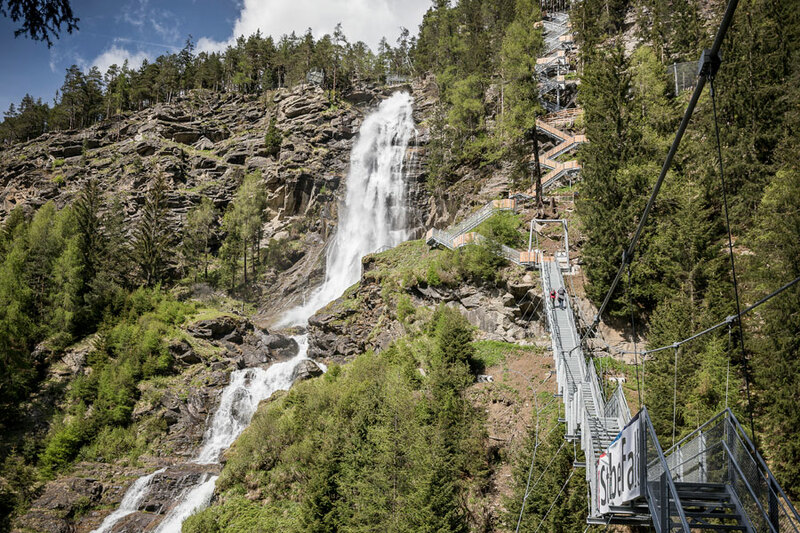 Under this concept the attractions including Stuibenfall waterfall, Birds of Prey Park, Ötzi Village and the natural bathing lake are combined. 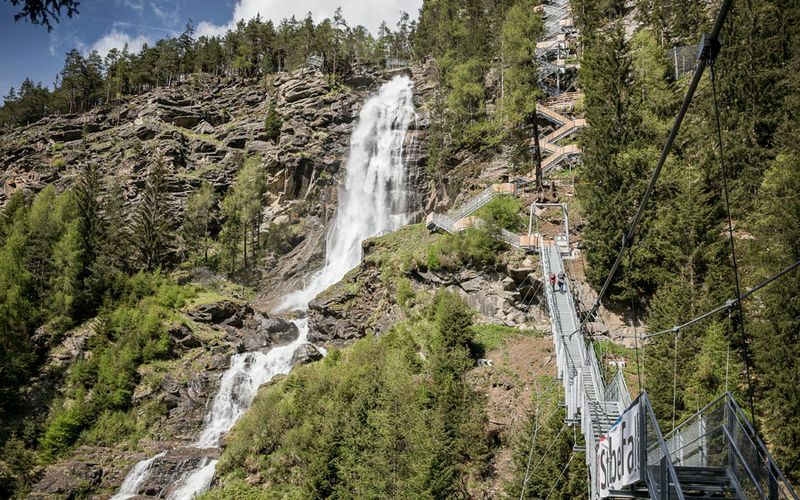 The Stuibenfall ist the largest waterfall in Tyrol and accessible with a special step construction. In the Birds of Prey Park many indigenous birds find their home. Join a guided tour to find out more about the Stone Age and "Ötzi the Iceman". Cool down on hot summer days in the natural bathing lake in Umhausen. You can reach the attractions of the Urkraft Umhausen within about 25 minutes by car.